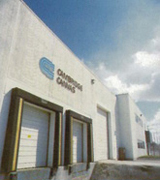 About Us Founded in 1976, Cambridge Canvas has built a solid reputation in the tarpaulin industry for almost 40 years. Cambridge Canvas sets the standards that others follow as we demonstrate excellence through innovations which serve the customer better. We never lose sight of the needs of our customers, you are number one here. As the leader in tarping products, we are constantly redefining ourselves by anticipating the direction and needs of transportation/logistic provider professionals. The vision behind Cambridge Canvas is simple: provide top quality products and service to our customers. This means keeping you on the road longer with sound, reliable, competent products & service. We have staff numbers of between 55-75 people, who are all very skilled, with many having 15-29 years of valuable experience. Our facilities are housed in two modern buildings totaling 40,000 square feet. We carry a large extensive inventory and are dedicated to providing our customers with high-quality products, delivered in a timely fashion and at competitive prices. Home | About | Products | Repair Centre | Contact © 2010 Cambridge Canvas | All Rights Reserved.